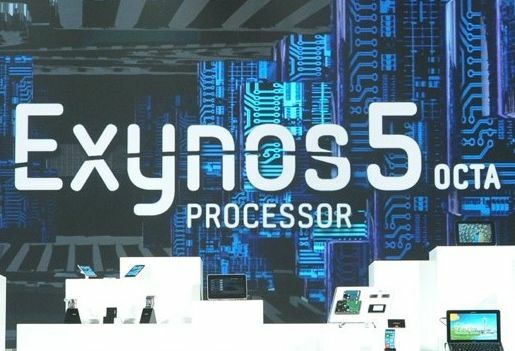 Samsung announced it’s new Exynos 5 Octa chip at CES 2013. Samsung Exynos 5 Octa has 8 cores, two sets four cores each: ARM Cortex A15 for performance & Cortex A7 for common workloads. Samsung says the new chip provides twice the 3D performance of any previous mobile processor including Exynos 4 Quad. The Exynos 5 Octa has power saving architecture which will switch off the cores when not required to maximize battery life. The Exynos 5 Octa will support Green LCD, new pixel structure that improve image quality & better battery life. Samsung also showed the prototype of flexible display. Now just imaging what will happen when all these will embed in single device. Yes here i’m talking about Galaxy SIV. This is good, but all the 8 cores wont work simultaneously. At peak, the A15 cores work and during low battery or after certain time the A7 kicks in to action , making the A15 to sleep. So It might be the fastest when it comes out, but also might be the slowest during certain tasks. Not sure how this might pan out though, but as Qualcomm says, this Core-war is unnecessary for us. Optimization is the key, for performance as well as battery life. Any idea when is The Key lime pie 5.0 the next new Os of android releasing…. Nobody knows but you can expect in IO 2013.